At Helander Metal Spinning, we have provided custom metal forming services for over 80 years. In addition to our high-quality and versatile manufacturing capabilities, much of our success can be credited to our numerous industry certifications. 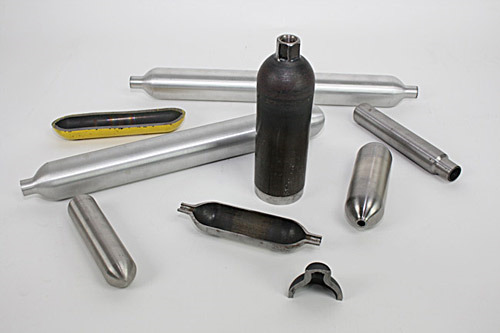 Increasingly demanding applications must have appropriate components and tooling; standards for these applications are set by organizations such as the American Society of Mechanical Engineers (ASME). Each year, ASME awards certifications to truly exceptional companies. Certifications inform customers that a company is aware of, and complies with, major industry standards. Helander is already ISO 9001:2008 and AS9100 Rev C. certified—we are proud to announce that we have just received certification for ASME’s Boiler and Pressure Vessel Code (BPVC). First issued in 1914, the Boiler and Pressure Vessel Code is a pioneering set of standards used to enhance both the safety and technology of boiler systems. The BPVC has long since been considered a necessity to industries such as power generation, petrochemical, manufacturing, and many others. The BPVC provides requirements for construction, maintenance, inspection, and operation of boiler systems. Even after 100 years, these standards are still widely recognized and utilized. In fact, many products must adhere to the BPVC standard, or risk their market availability. At Helander Metal Spinning Company, each of our customer specified pressure vessels are held to ASME’s BPVC, and can be “U” stamped in house. With our Section VIII Certification, we can fabricate seamless or welded vessels up to 72” in length and 36” in diameter. 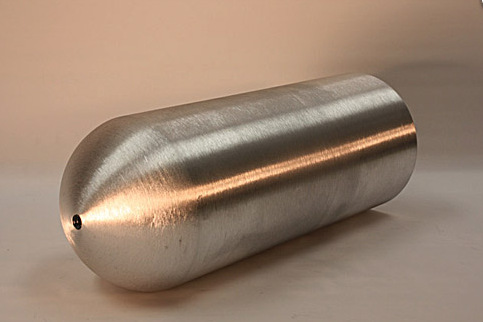 Our pressure vessels are used as hydraulic accumulators, gas storage vessels, and pneumatic reservoirs—these are all demanding applications that require precision manufacturing. Helander is more than happy to provide any information regarding our ASME certified pressure vessels. Visit our Quality Page to obtain free, downloadable copies of our certificates. If you have questions about our certifications and qualifications, please contact us today.